The recruitment landscape has changed a lot over the years and it is now led by candidates rather than recruiters. Gone are the days when recruiters got to pick the candidates. Now, candidates pick the company that they want to work with. In fact, according to a recent study, 90% of recruiters believe that recruitment is more candidate-driven. Given these facts, it is evident that it has become harder for recruiters to find and attract talent. Which is why they need to up their game and improve their recruitment and selection strategies for 2019. This is probably the most important of all strategies that we will discuss in this post. Your employer brand is, essentially, your company’s reputation as an employer. It is not the same as a company’s brand reputation as an organization. And employer branding has become more important than ever. 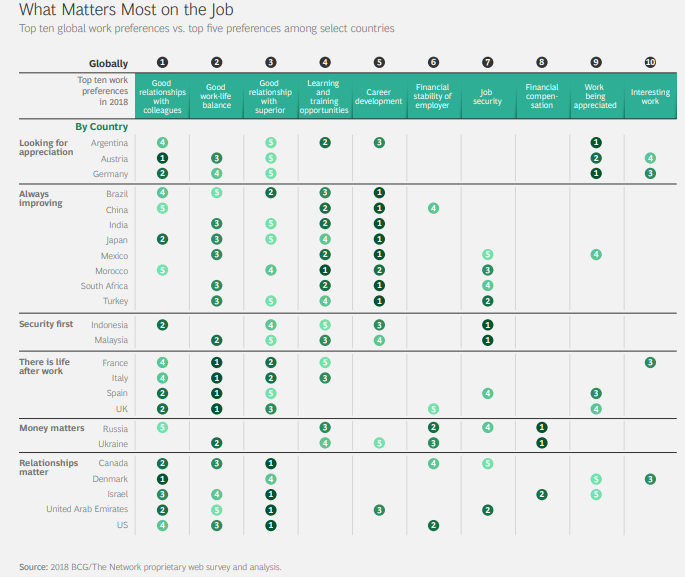 Candidates are increasingly focusing on factors like good work-life balance and good work environment while selecting companies. In fact, according to a study, good work-life balance is the second most important factor (after compensation) for candidates considering a new job. According to a BCG study, good relationships with colleagues and good work-life balance are the top two priorities for employees. This is where employer branding comes into the picture. Building a good employer reputation and being known for your employee-friendly policies can help you attract good talent. To build a good employer brand, you need to first do some research and find out where you currently stand in terms of employer reputation. You should focus on your current employees and ensure that they are satisfied with your work environment and organizational policies. Building a good employer brand is a long process that takes substantial time and effort. But the key to building a good employer brand is to keep your current employees happy and make them your brand advocates. According to a 2018 report, 44% of companies plan to increase their investment in building their employer brand..
Marketing is not just limited to sales and retail anymore, it is now also being used by recruiters to attract talent. Recruitment marketing is a trend where recruiters are employing marketing tactics to attract and hire talented candidates. Since the market is mostly candidate-driven and there is no dearth of job opportunities, candidates have become more selective. To stand out among the sea of recruiters trying to attract the same talent pool, you need to market yourself better. 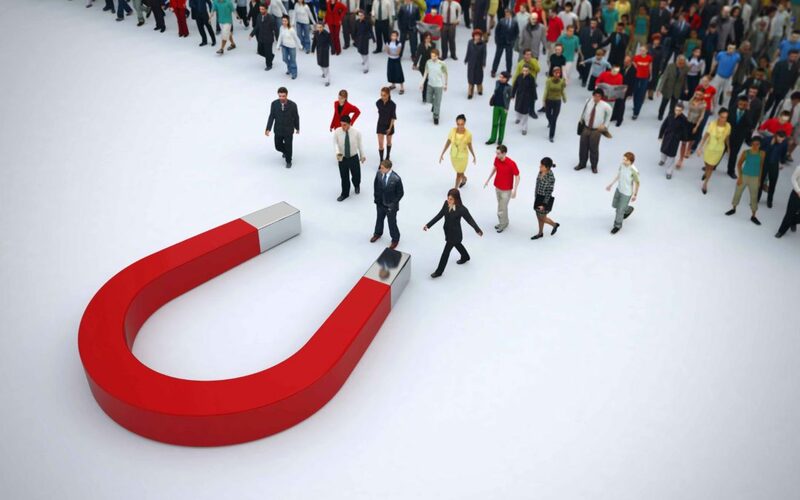 You also need to ensure that you are attracting the right people. Which means you need to clearly define the job role and the type of candidates you want for that role. Keep in mind who you are targeting, and shape your marketing strategy and company messaging accordingly. Also, ensure that you have a clear and attractive talent value proposition that you want to highlight to potential candidates. A good value proposition will help you attract more and better talent. A positive candidate experience during the recruitment and selection process is critical to determine whether a candidate will join your firm or not. According to the recent Candidate Experience Survey conducted by iCIMS, 67% of employees decide whether to take a job based on their experience during the recruitment and selection process. Be friendly in all of your candidate interactions. Be transparent and open about the process and where a candidate stands. Keep a two-way channel of communication open and be available to answer any questions that a candidate might have during or after the process. Be polite while rejecting candidates. A good candidate experience during the recruitment and selection process can help you get more offer acceptances. And even if a candidate does not accept or is rejected by you, if their experience was good, they are likely to refer others for your company. To improve your recruitment and selection process, you need to improve your candidate sourcing. Do not limit yourself to job portals to find the right candidates. While they are good places to look for people actively searching for a job, you still need to find ways to get passive candidates. According to an Entelo report, 91% of employers are investing in better candidate sourcing tools. Employers and recruiters are increasingly looking at other sourcing channels like social media profiles and industry events to find passive candidates. According to the Entelo report, 81% of recruiters use social media for sourcing candidates. Some companies are also using automated sourcing and technologies like Boolean Search to find candidates. These help reduce the time and effort required to find and hire the right candidates. For example, Unilever started using a digital screening process and did away with resumes and telephone screenings. By making this simple change, they say a 75% reduction in hiring time. One of the best ways to optimize your recruitment and selection process is to make it more efficient by utilizing screening and interviewing techniques that reduce hire time. A lot of companies are investing in tools to weed out unfit candidates at an early stage to reduce the time-to-hire. These could include screening tests, soft-skills assessments, etc. to determine not only the candidate’s skills but also cultural fit with the company. Some companies are also experimenting with virtual reality assessments, video interviews, and other such tools to cut down the time-to-hire. 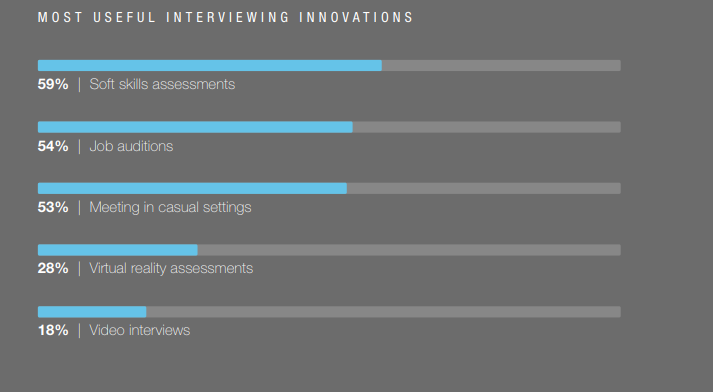 According to a recent LinkedIn report, the most innovative interviewing tools that companies are using are soft-skills assessments and job auditions. It is getting more and more difficult for recruiters to find and attract the right talent. This calls for a need to make some positive changes in your recruitment and selection processes. You can use the 5 techniques mentioned above to improve your company’s recruitment and selection process for 2019. Know of any other ways to improve the recruitment process? Let us know in the comments below.